Otto's is honored to welcome legendary Napa producer Mayacamas to Hoffman Haus for an exclusive five course magnum wine dinner. 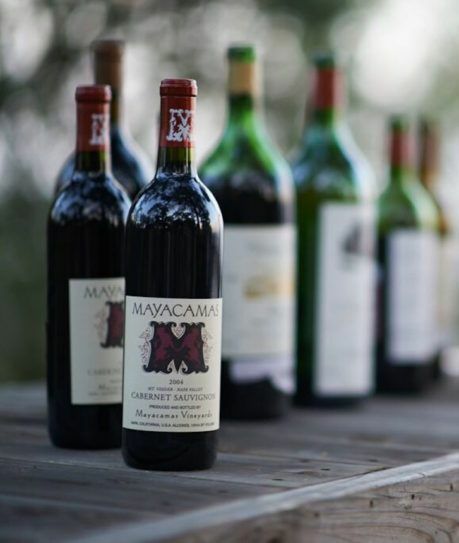 More than 125 years after it was founded, Mayacamas remains a family-owned winemaking estate focused on handcrafted, small production Mt. Veeder wines. The wines see extended ageing in neutral oak vessels ranging in size from small barrels to large foudres—some in use since the 1920s! Finally, the wines are released only after further time in bottle, ensuring the elements coalesce into a complete wine. This unwavering approach results in classically-styled, age-worthy wines. Make plans to join us for an evening of incredible wines exquisitely paired with elegant farm to table cuisine by Otto's Executive Chef Judd Wood. November 30 | 6:30 p.m.
*Price includes dinner, wine pairings, and tax. * Reservations will be taken on a first come first served basis.